I just watched a movie starring some of Hollywood’s top talent and everyone was looking old. In a good way. If you think that’s not possible, read on. The movie itself doesn’t really matter. It’s the looking old part that is my focus. For the record, the film is called Homesman. The title is a reference to the job of taking people home from America’s harsh frontier in the 1850s – in this case transporting three lunatic women back east. The job was typically a man’s, but it is done in this movie by a woman, played by Hillary Swank. 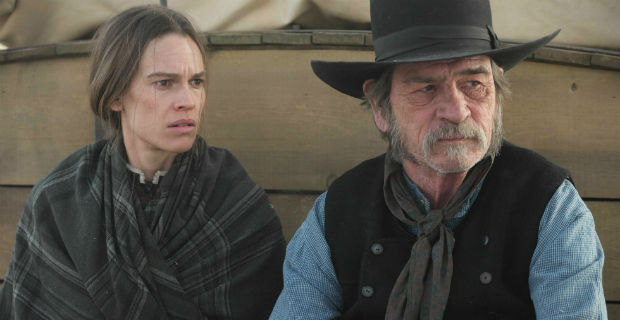 The director and star of this wry Western is Tommy Lee Jones. Let’s face it, we are all judged by our faces. With actors it is even more so. They have traded on their faces since they first faced the camera, so we are not about to stop judging them on face value now. In this, his latest film, Jones plays a very, very old dude. Perfect casting due to the craggy factor. The film opens on his wrinkles, seen in sharp relief as his face is blackened by the dynamite that has just blasted him out of bed. Meryl Streep is also in the film, also looking old, although incomparably less so at 66 than Jones at 69. Swank is even looking old at 40. Which worked fine because life on the frontier could not have been kind to your face. You’ll notice I am using youthful syntax, AKA the present participle. Not that these actors “look old” but are “looking old”. That is deliberate. When I first saw the faces of Jones and Streep in close-up, despite my own averred anti-agism I must confess that my initial thought was – well, you can guess what I was thinking about how Jones and Streep were looking. I am ashamed but I admit I couldn’t stop thinking it. Aside from the plot, a theme of the film for me was all those faces looking old. Forgive the focus on faces, but it really is inescapable. Advertisements promote perfect skin, starting with the skin on your face. A perfect white complexion is often described as “peaches and cream”. Perfect dark skin gets called “radiant”. Most older faces do not merit such descriptions any more – if they ever did. Hence all the products you can buy that claim to improve your skin. We live in a world with few messages to love the skin you’re in. And even fewer to love your aging skin. I applaud the trend in movies dealing honestly and realistically with themes around being comfortable in your skin as you get older. I commend these films for not minimizing the foremost physical aspect of aging, not trying to disguise them with soft focus – but instead zooming in on wrinkled faces and showing them as expressive. 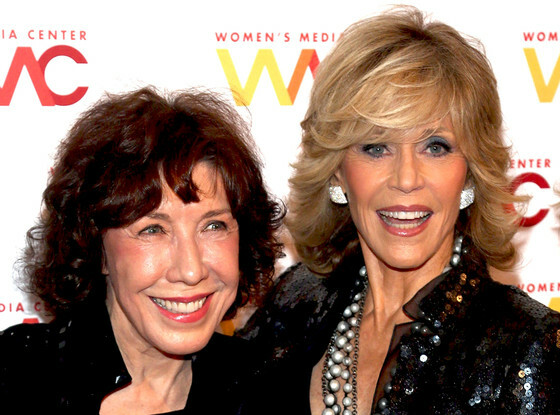 I like Jane Fonda’s new series about spunky septuagenarians, Grace and Frankie, but her face is looking weird after all the plastic surgery. When face muscles experience the knife or Botox they can no longer show expression in the same natural way. Acting ability is inevitably compromised. Maybe the actors in Homesman were looking old in part because the director seemed to light the faces of himself and Streep in a deliberate effort to reveal every wrinkle. Again in a good way. Streep’s cameo was wonderful because she was looking old, not in spite of it. And because nobody was trying to hide it. Streep’s face, even in harsh light, does not look like she has used either surgery or injections of the botulism neurotoxin. (Face it, that’s what Botox is.) Her once Peaches and Cream complexion is now full of fine lines. Most importantly, given Streep’s profession, her face expresses emotion beautifully. As good as, if not better than ever. What a treat it was to watch her emotive face on the screen. So now I am thinking of a new way to help overcome the widespread aversion to looking old. Disgust at wrinkles is drummed into us by the anti-aging industry. So I am wondering if more accepting responses to aging can be engendered by watching films with realistic portrayals of older people. Such movies provide evidence of how compelling faces can still be when they are looking old. You could spin it as a form of visualization therapy to inculcate positive thinking about aging. Perhaps researchers should study older people’s responses before and after watching movies with actors unashamedly looking old. I bet the finding would be that older people experience a boost in self-esteem after seeing faces with “character lines” not unlike the ones they see in the mirror. Haven’t seen the film but was recently very disappointed to see Streep looking as though she’d done Botox, but perhaps it was just my fear that they all seem to do it! Jones, of course loves to emphasise his wrinkles. Rock on Tommy…we love your pock-marked wrinkles! Must see if I can get a beautician to emphasise mine! Will definitely watch the film. Be curious to know what you think if and when you get a chance to watch the film. A poignant part I liked was seeing the pioneer woman Swank tapping her fingers on a keyboard printed on a cloth because she didn’t have a piano, living on the frontier. So she had to survive on memories of music.